Aberdeen will meet Celtic in the Scottish League Cup final after a hard-fought 1-0 semi-final victory over Rangers at Hampden Park. The Dons were on the back foot for much of the match but scored the only goal when Lewis Ferguson headed in from a corner in the 79th minute. Rangers struggled to create clear chances in the absence of strikers Alfredo Morelos and Kyle Lafferty, with Lassana Coulibaly spurning their best opening when he volleyed wide in the 59th minute. Defeat means Rangers' seven-year wait for a major trophy continues, while Aberdeen will meet Celtic in the final on December 2. Celtic have won the competition for three of the last four years, including beating Aberdeen in the 2016 final. After Brendan Rodgers' side beat Hearts at Murrayfield earlier in the day, a frantic start to the game at Hampden Park saw two bookings inside the opening three minutes and Allan McGregor keep out a 25-yard free-kick from Niall McGinn. Umar Sadiq, making his first Rangers start, headed over in the sixth minute, before McGinn spurned the best chance of the first half when he shot over from the penalty spot. Rangers enjoyed most of the possession but could not create clear openings, with Ryan Kent and Ryan Jack both shooting wide from outside the box. Play was stopped for around eight minutes on the half-hour mark after Andrew Considine suffered a head injury and had to be carried off on a stretcher. And neither side could break the deadlock before half-time as McGregor tipped over a cross from Gary Mackay-Steven and Joe Worrall shot over the bar at the other end. Rangers continued to have more of the possession after the break and Joe Lewis kept out a low shot from James Tavernier before Coulibaly volleyed wide from 10 yards out from a corner. However, Aberdeen eventually managed to ease the pressure on their defence and launch some attacks of their own. 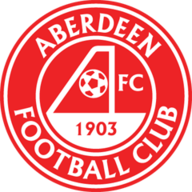 Scott McKenna returned from suspension for Aberdeen and Niall McGinn and Scott Wright also made the starting XI. Rangers were without forwards Alfredo Morelos (suspended) and Kyle Lafferty (cup-tied), so 21-year-old Umar Sadiq, who is on loan from Roma, made his first start. 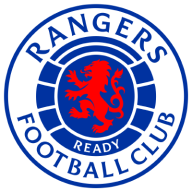 They got the breakthrough in the 79th minute when Ferguson headed in from a corner, and Rangers could not respond, with Sadiq booked for a dive in the box and Tavernier heading over from Kent's cross. In a closely-fought game, it was Ferguson's goal that proved the difference. The son of former Rangers midfielder Derek Ferguson climbed highest from a corner to secure Aberdeen's place in the final. Rangers host Kilmarnock in the Scottish Premiership on Wednesday before a trip to St Mirren next Saturday, live on Sky Sports. Aberdeen are at home against Hamilton on Wednesday and then travel to Kilmarnock on Sunday. The Scottish League Cup final takes place on December 2.